Capitulary School of Patmos "Patmiada"
The Holy Cave is located in the middle of the hill between Skala and Chora and it forms the connection between the material and the spirit. As one goes down the 43 steps, he/she passes through the past into the future. In the past, because one senses the presence of saint John the Evangelist, who wrote the Apocalypse in there, and in the future because the book of Apocalypse illustrates and foresees the future. The view from the cave, and the mysticism of the atmosphere are awesome. Saint Christodoulos refurbished the cave when he arrived to Patmos. 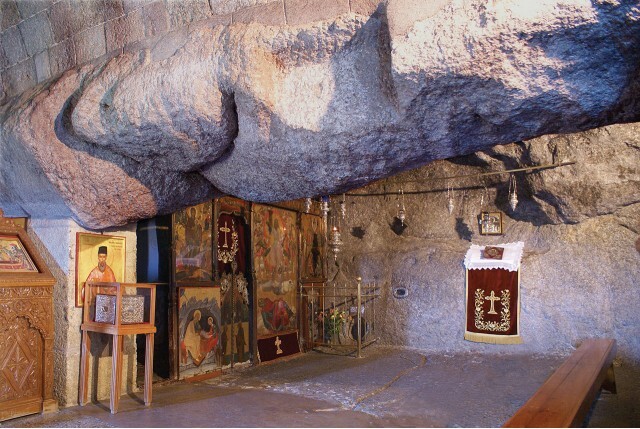 Today, pilgrims can see the place at which the Apocalypse was written, the place where Saint John stayed, the massive rock that opened up in there and through which God dictated the Apocalypse to Saint John, the point were the Evangelist lay his head to rest and a curve on the rock, which he would hold onto, in order to rise. 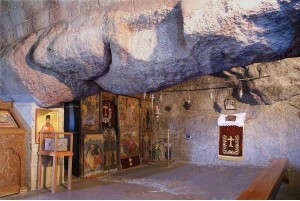 In order to respond to the need of the pilgrims, the southern part of the cave has been turned into a temple. In year 95 a.C, Jesus Christ's favourite student, John, was sent to Patmos in exile by emperor Domitianus. At the time, the wizard Kinopas or Kenepsis as we know him today (meaning someone with the face of a dog) lived on the mountain Genoupa of the island. 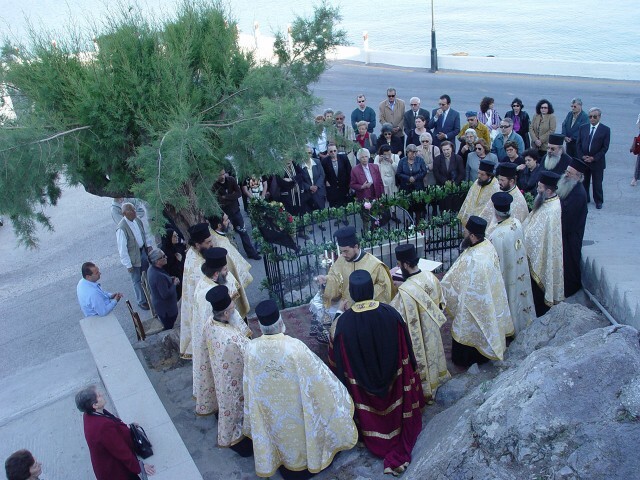 When Kinopas was informed that John was on the island, talking the words of a new god and that with his speech he managed to baptise more and more of the inhabitants of Patmos, he was infuriated and went to meet John himself to see what was going on! He found John in the town of Fora (today called Pernera) the capital of Patmos at the time, by the sea, in the area of Votris, where his baptistery was! Kenepsis challenged John in front of his believers, to prove the existence of God, bringing the father of a present Patmian back to life! John refused to do it! Then, Kinopas jumped into the sea showing off the power of his magic, and brought back a man with the same face as the one of the Patmian's father! The crowd began to hurray for Kinopas and turned against John!